Over/Under: Over 160.5 at 1.90 Bet Now! This is a game between two sides that know each other really well as this is the 10th time that these two teams have clashed in the last three seasons. Madrid have won 8 out of the 9 so far, and this includes three wins this season, and the Spanish club will be favourites for this match. Even with Rudy Fernandez expected to be absent for this one, the home side will be keen to tie up top spot in the group. 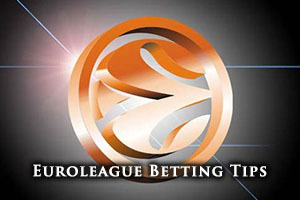 The home team stands with an 18-5 record so far this Euroleague season, and this contains an 8-2 record in the regular season and a 10-3 record in the Top 16. With Zalgiris managing a 10-13 record in their entire Euroleague campaign this season, it does indicate the difference between the two teams. The Lithuanian side had a 5-5 record in the regular season and they have achieved a 5-8 record so far in the Top 16. With respect to average points scored, Real Madrid are streets ahead with an 86.9 record compared to 71.1. If you are looking for a key man in the Real Madrid side, most people will point you in the direction of Felipe Reyes. Reyes has been in excellent form, and he has provided an average of 11.7 points per game this season for Madrid and he has also managed to offer up an average of 6.0 rebounds per game this season. This is a Madrid team full of stars but when it comes to leading the line, Reyes has been reliable. Of course, you always expect other players to do the damage for Real Madrid and Sergio Llull has been a key player this campaign, offering up an average of 5.4 rebounds per game this season. James Anderson has been a key man for Zalgiris this campaign and his average of 14.4 points per game is well worth bearing in mind. He has been ably supported by Paulius Jankunas, who has provided an average of 6.7 rebounds per game this season and Lukas Lekavicius has also been in tremendous form, offering up an average of 2.7 assists per game for the Lithuanian team. They may not grab the attention in the manner that their opponents do but Zalgiris are a strong team that have plenty to offer. Real Madrid are sitting in second place in the Spanish league with a 22-5 record. 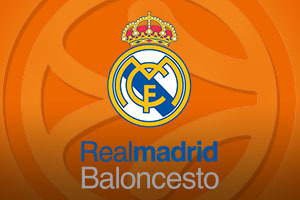 They are one place behind Unicaja Malaga who hold a 23-4 record. Madrid’s last game in the Spanish league was a 74-80 away win against CAI Zaragoza. As for Zalgiris Kaunas, they are currently in second place in the Lithuanian league with a 29-4 record. At the top of the table is Lietuvos ryt who have a 31-4 record. The most recent game for Kaunas in their domestic league was an away win over Juventus with the final score being 68-73. The bookmakers believe that the Spanish giants are clear favourites and it may be that the score of the Barcelona game will provide the Spanish giants with the added impetus they need to win. If Barcelona won, taking Real Madrid with a handicap of -15.0, at odds of 1.90, is likely to be a decent bet. Anyone that is looking to make the most of the Over/Under market that is available for this game should find that going OVER 160.5 is a decent bet to get the weekend started in the best possible manner. Bet Now!